Sunday Service Week 40: In Surrender Lies Victory! A case might be made for surrender as a path to victory in worldly conflicts—the way of passive resistance, for example, in preference to armed resistance. But our point here concerns a higher kind of surrender: the surrender of our deluded, egoic will to the wise and almighty will of God. 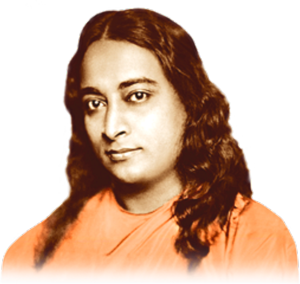 Human will is, as Paramhansa Yogananda used to say, guided by whims and limited understanding. The divine will is in harmony with every level of reality. Though the divine will sometimes appears to us, at first, to be wrong, it proves always, eventually, to be for our highest good. Human will is inconsistent; it leads us one day to success, another, to disaster. The divine will, when we surrender to it completely (though it is not always easy to do so! ), always brings us deep inner peace and joy in the end. Jesus Christ demonstrated this perfect surrender to God’s will in the Garden of Gethsemane, the night before he was captured and imprisoned, preparatory to his crucifixion. He went apart from the others to pray, and asked them to pray also. But when he returned to them he found them asleep. Out of his love for them he excused them, saying, “The spirit indeed is willing, but the flesh is weak.” He then urged them again, saying, “Watch and pray.” Their weakness, in those circumstances, was particularly sad, and the disciples themselves must have regretted it bitterly, later on. These qualities reveal true Wisdom, Prince. All that is otherwise is ignorance! Awareness deepens, the more it is centered in itself. But the farther a person’s interests extend outside himself, the thinner the supply line of his awareness becomes. If a person’s consciousness is centered outwardly in things, it takes on those qualities which it attributes to those things. Jewellers, for instance, often have bright eyes. People with no sense of higher values have dead eyes. Man needs to learn to change his focus from what he is aware of to what he is aware with. He needs to become more aware at the source of his awareness, at his deepest center, God. Through this awareness, his enjoyment even of the surrounding world becomes intensified a thousandfold. I behold the world with eyes of calmness and of faith. For I know that, as I view others, so will I myself become. Infuse me, from my deepest center, with Thy joy. Make me aware of Thee, my divine Beloved, in all that I behold.